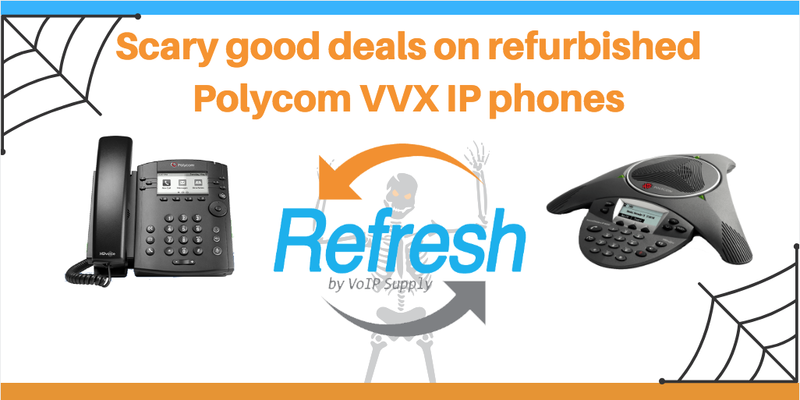 Scary good deals on refurbished IP Phones are hiding in plain sight in our warehouse, but there is no need to be scared, we promise you’ll love them! These deals are hiding on our Refresh shelve in our warehouse. But you can see them here! If you’d like a treat, go ahead and order one! A bright blue and white box will set them apart right away. Once you get that box, you can rest assure that what you are holding in your hands is a certified used product that looks and works as good as new. And if something happens to go wrong with your phone, you’ve got three months of “no questions asked” returns. Pay special attention to our highlighted treats for the month of October! 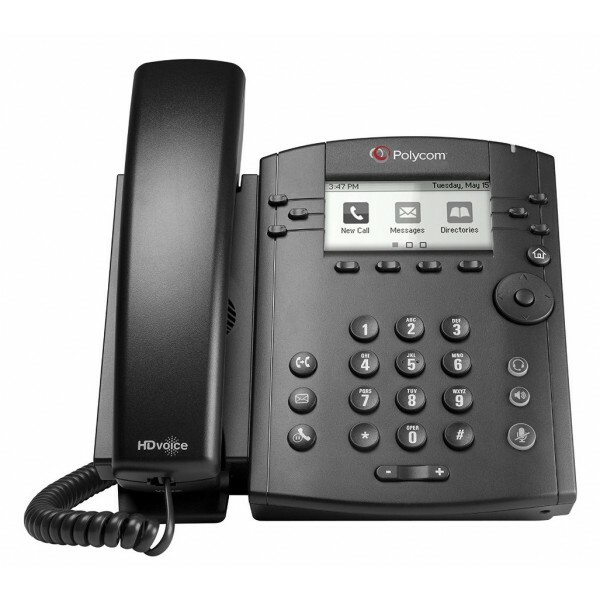 The Polycom VVX 300 is a 6-line IP phone that fits in any small to medium-sized business where a color screen is not required nor are any executive features. It is a great quality simple phone that can be used with a headset that has an RJ9 port. It also features HD Voice and Power over Ethernet (PoE). All of this for a great price at $72.99. Our next treat is the VVX 311. This model looks just like the VVX 300, but features Gigabit speeds. The VVX 311 is also 6-line entry level IP Phone with HD Voice and a backlit grayscale LCD display. All of this for a low cost of $84.99. Our last featured treat is one you may find crawling in the table of your conference room or huddle room. 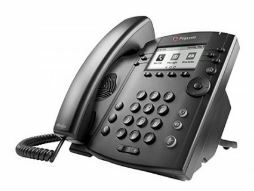 That is the Refurbished Polycom IP 6000 Conference phone. Use it in any small to medium sized room for superb audio performance. 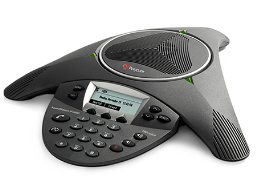 With a 12-foot microphone pick-up range and robust security, provisioning and interoperability, the IP 6000 is a great choice for any business or individual. All this for only $339.99. You can’t go wrong with these October scary crazy deals! Great quality phones, at a fraction of the cost of new ones, with a 3-month warranty that can be extended to six months for a small cost- simply great deals.